​Discover what, where and how your chakras influence the way you think,feel and act and find out how to easily manage them so you can consciously influence your life positively with more possibilities, freedom and choice. 'This light from within' is the light of our own shining awareness that is often hidden under a cloud of worry, fear and uncertainty. Let us empower ourselves by sensitising, balancing and clearing our energy system creating the possibility for changes and new adventures in our lives. Gentle yoga and pranayama works specifically on these chakras and will help bring us into a tingling awareness of these vortexes of light within our bodies. Specific symbols focused on each chakra will activate and deepen our experience. Enjoy an interesting, joyful & friendly day. Join like minded people for a boost of optimism and light. 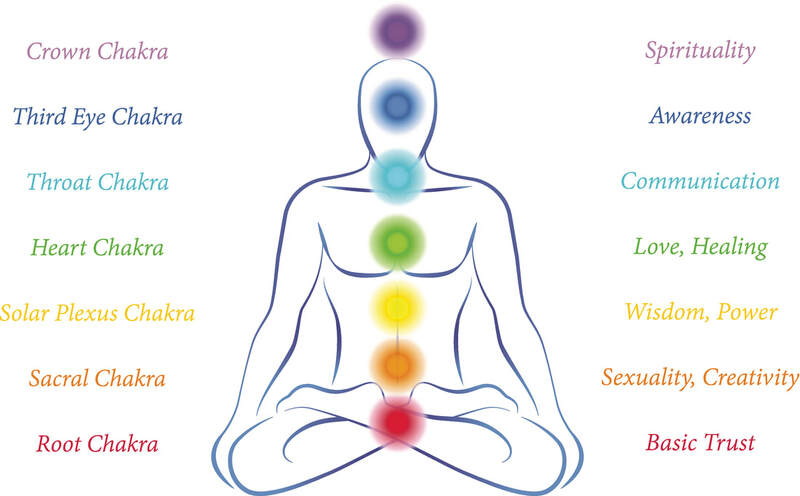 We visit the 7 major energy centers (chakras) in the body that are positioned along the spine using yoga and meditation. Realise how they affect our mental, emotional and physical well-being. Uncover your shining light and become the joyful & peaceful person you truly are. I came feeling tired and left feeling healed. It was exactly what I needed. A.N. The 1 day Chakra workshop held at Wyndcliffe Court was a lovely experience. Not only was this an unusual and beautiful setting (picture cosy wood panelled room and open fire) but it was, for me, about learning the capacity we each have inside of us to control our emotions. Postures, relaxation and meditation all combined to make me aware of how our positive emotions are often buried under negative ones, and I came away feeling joyful and light.